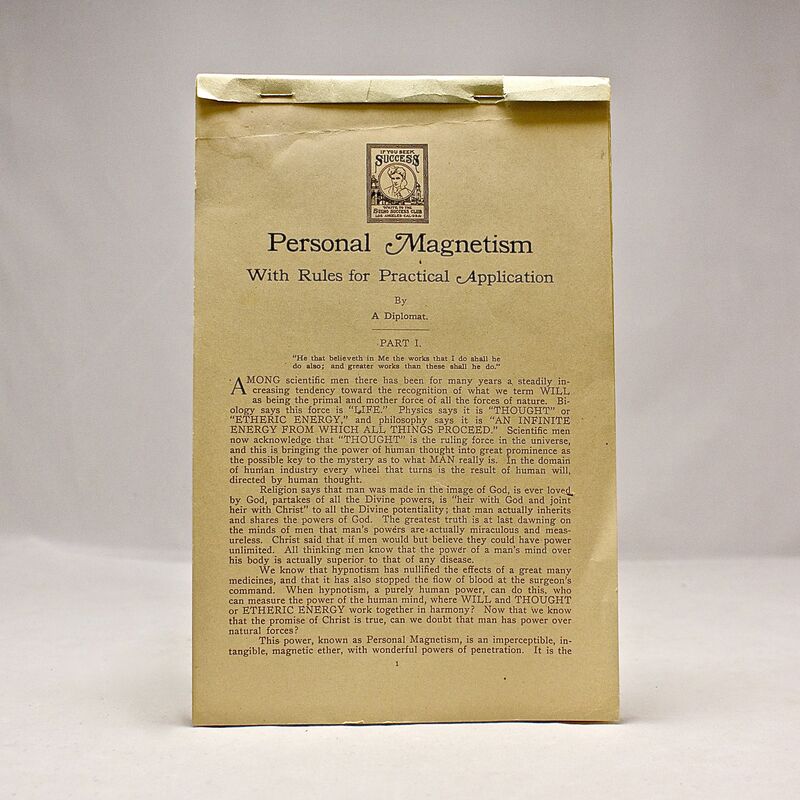 Personal Magnetism: With Rules for Practical Application - IFA Vintage and Current Book Library - Index Fund Advisors, Inc.
Notes: Considered the first course on self-help, success and financial riches. This copy still retains the original wrappers and in mint condition. The OCLC shows only one other copy.